It’s understandable. Signs can be difficult to take down when businesses move on. So signs from former tenants remain. I was struck by how much I liked some of the signs that are still lingering despite possible confusion. 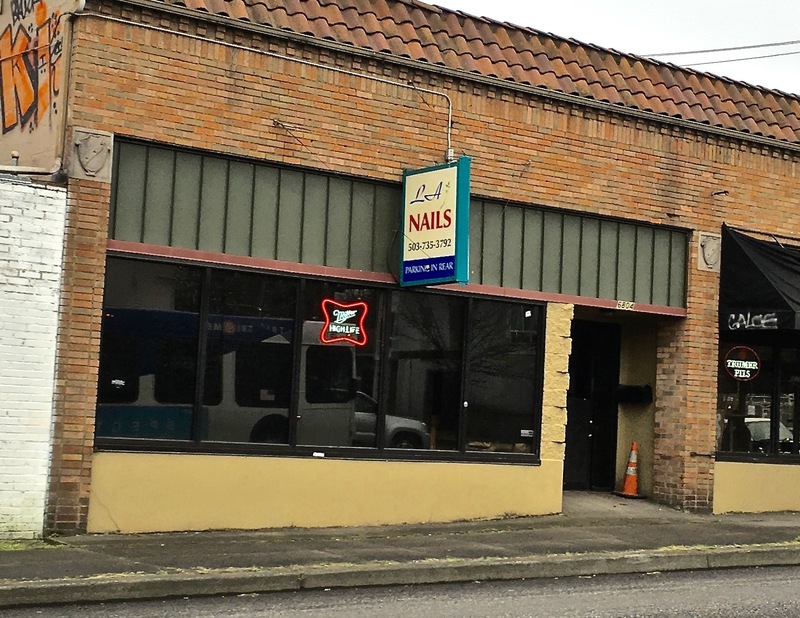 The first abandoned sign I noticed, was for a nail salon. Not having been a customer, I’m was unsure when it was operational in the last nine years. It may have shared the building with the High Water Mark bar briefly. 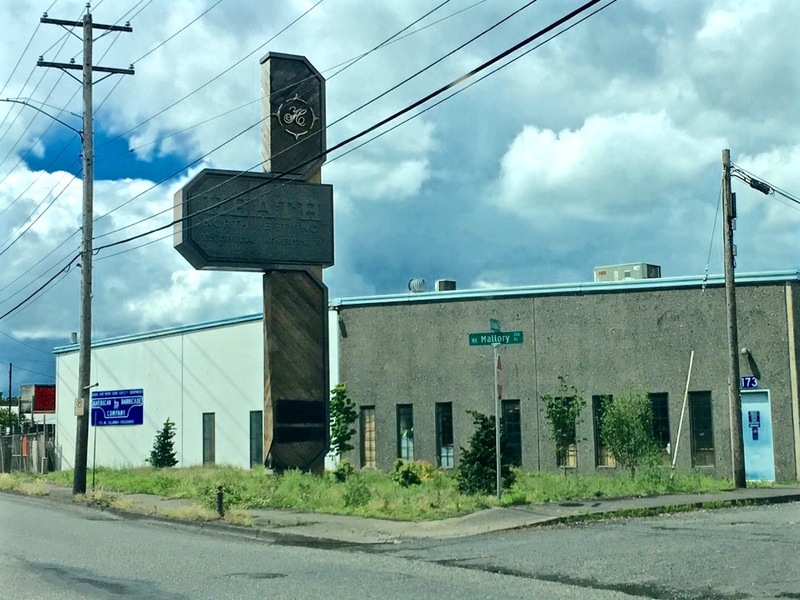 I have seen tenants come and got to this building at the corner of NE MLK Blvd and Dekum St. At some point I realized the bar had taken over the whole space. The sign is colorful, typical in nail salon style and design, but it’s cool in a kitschy way and the L.A. connection amuses me. On a subconscious level nail salons need to encompass all the glitz and glamor L.A. has to offer so why not be overt about it. The sign is nondescript in a way to be almost unnoticeable. Any one happening by, wanting to get their nails done will be sadly left with ragged nails and a continued search for another salon. Given the size of some of the signs it’s easy to see why they haven’t been removed. It makes sense to cover up the name of a previous business with brown paint. 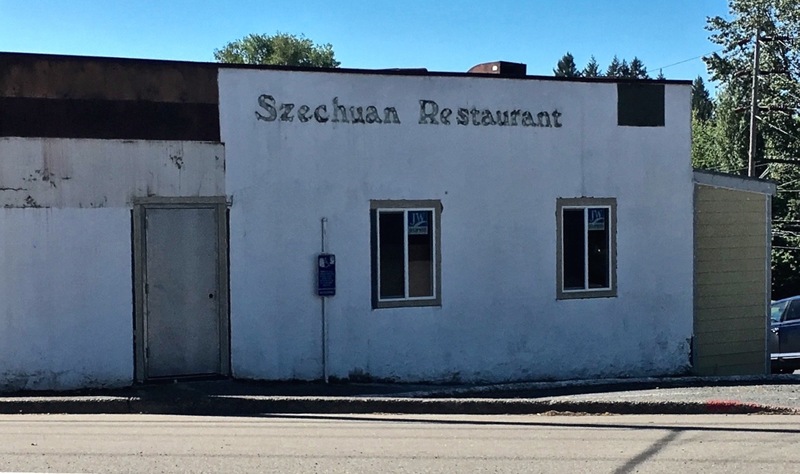 The real solution may be to hook up a sign for the current business to the old sign. 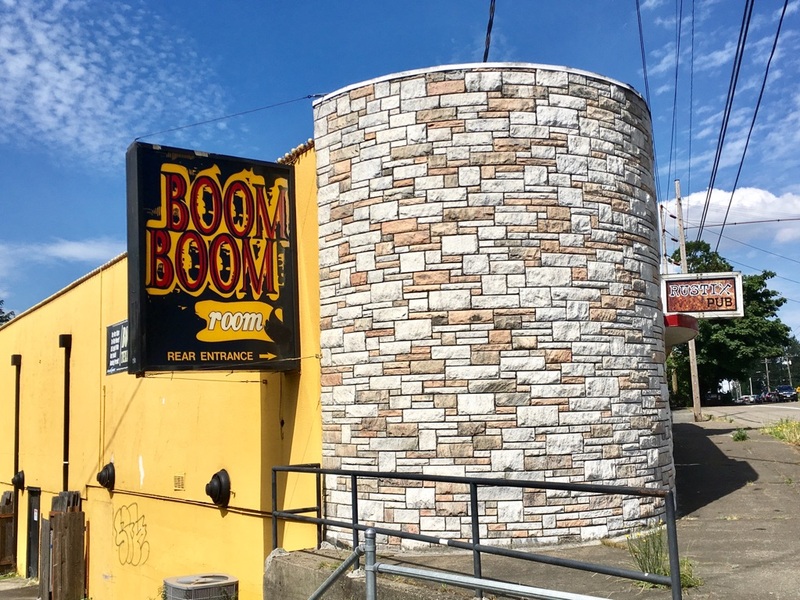 The Boom Boom Room on Barbur Blvd had an attractive sign to go along with their amusing name. Who could resist saying that a dozen or so times? It feels pointless now with the place being closed. The internet will tell you otherwise but it also links to the Boom Boom Room’s MySpace site. I have a sense that this sign’s days are numbered. Odds are it will be removed. The new tenant seems to be making extensive renovations to the building and has already added their own spiffy sign to the front of the building. The renovation to the building’s exterior revealed a previous tenant. Mackin’s Auto body still has a presence in the Kenton neighborhood. This faded painted sign is either an advertisement or it marks a previous location. I like this relic of bygone days but it’s hard to watch it fade away. 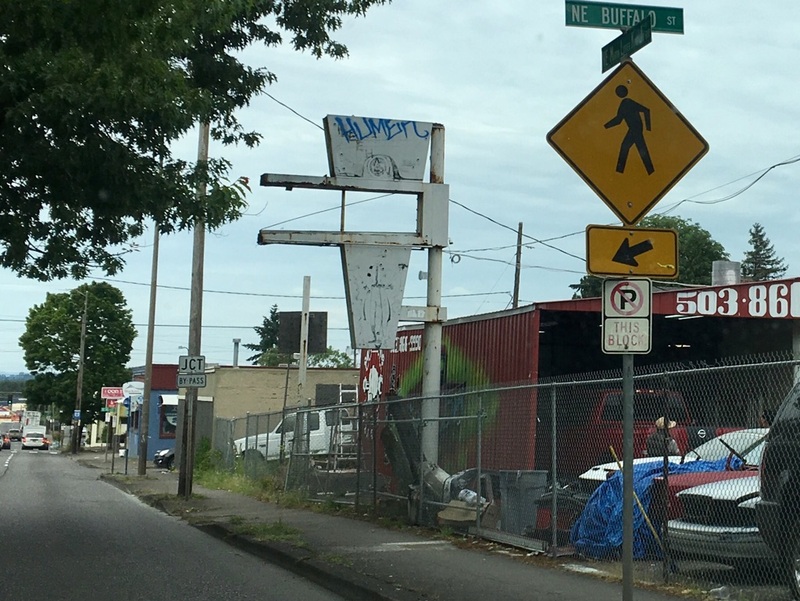 The last sign that caught my attention was spotted on NE MLK Blvd. It’s not evident what this sign may have advertised. An added dash of a graffiti does not cover up what looks like a car tire, while a human figure can be seen below with a bit of imagination. 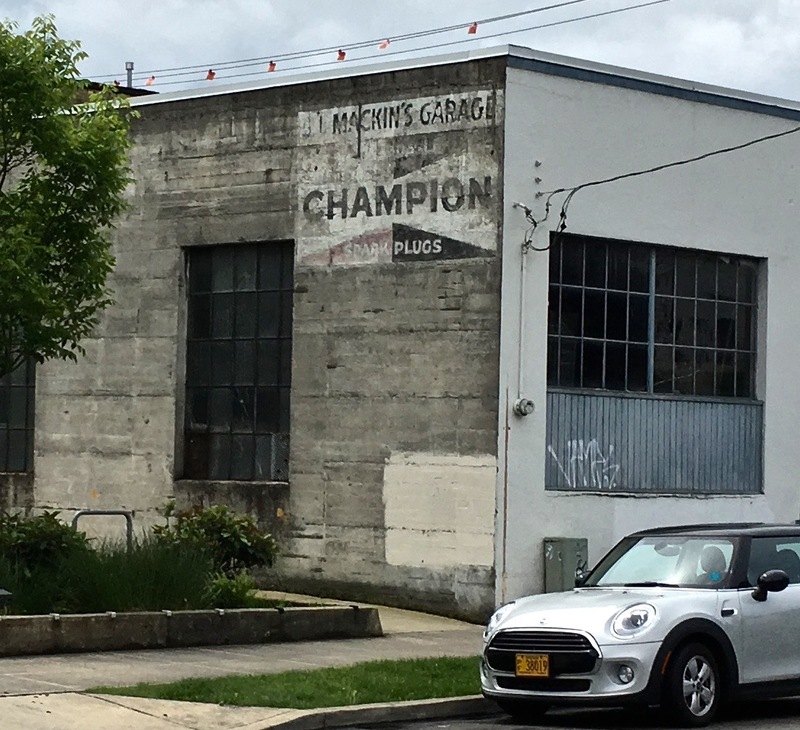 The old sign seems related to the nearby auto business. It retains a certain character with it’s oddball geometric shapes while offering itself as a canvas for additional graffiti artists. On the second, third and fourth day of my summer vacation I can feel a creep of dog days engulfing me. It could be the warmth or the sunshine or that plain old summer feeling. If you notice topics getting less and less challenging to the brain, well, that might be due to the neurological melt (not an actual medical condition) experienced on my part.